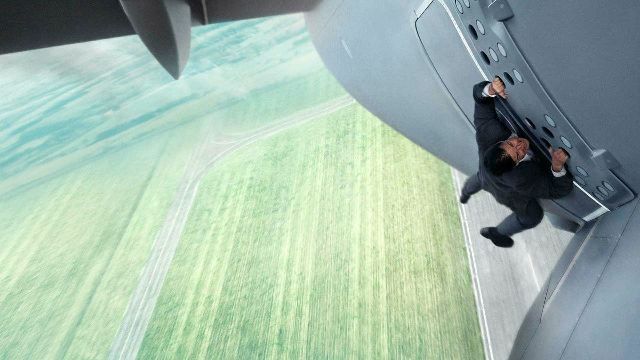 From its inception in 1996 to its most recent iteration in 2018, the Mission: Impossible movies have cemented themselves as the absolute best of the best that the summer blockbuster season has to offer. 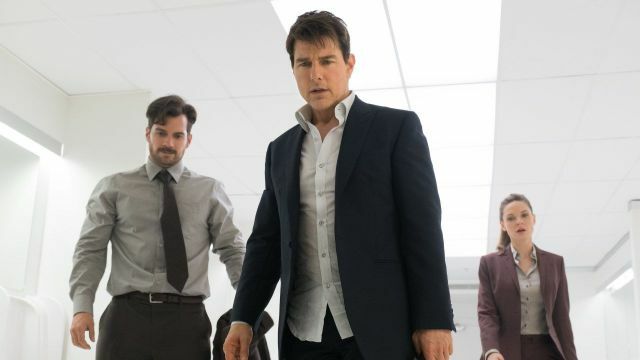 Across six films, Tom Cruise and crew have delivered enough action-packed excitement to sustain fans for over two decades. 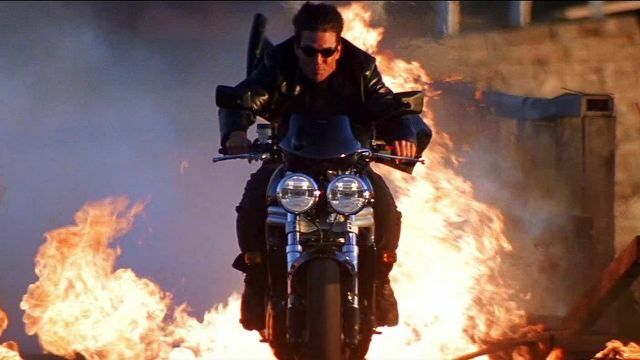 Maybe it’s Cruise’s commitment to doing real stunts, or maybe it’s the constant shifting going on behind the camera, but one thing is for sure: each and every one of these films manage to raise the stakes and take things to even bigger heights compared to the one before it. They are endlessly watchable and incredibly impressive as standalone films and as a series overall. Each film has at least one stand out moment worth recognizing. At this point in the sixth film, things aren’t looking very good for Tom Cruise’s Ethan Hunt. Tensions are at their highest, the world is that state, and he is responsible for stopping the Valen before he carries out his master plan. 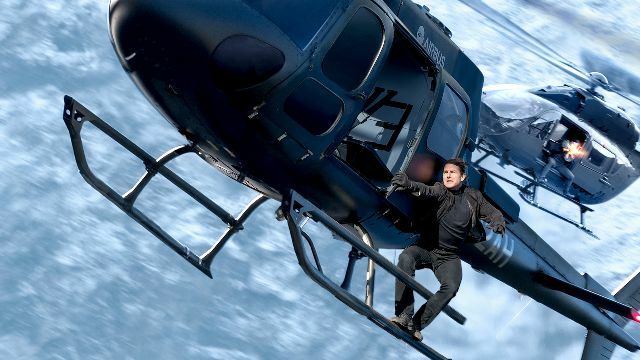 So, in typical Ethan Hunt fashion, he takes the reins of a helicopter and sets out to stop him. It’s a breathtaking and incredible sequence. Purchase now on Amazon for $19.99. Of all the hand-to-hand combat sequences in this franchise, the best and most brutal comes pretty early on in the sixth installment. It’s rough, it’s destructive, and it’s choreographed so well. Cruise, Henry Cavill, and even Rebecca Ferguson all manage to get in on the fight, and there’s even a good laugh or two thrown in for good measure. The entire second act of Mission: Impossible – Fallout is practically impeccable. Each scene and each line of dialogue is so incredibly necessary and entertaining, there’s hardly anything to critique. 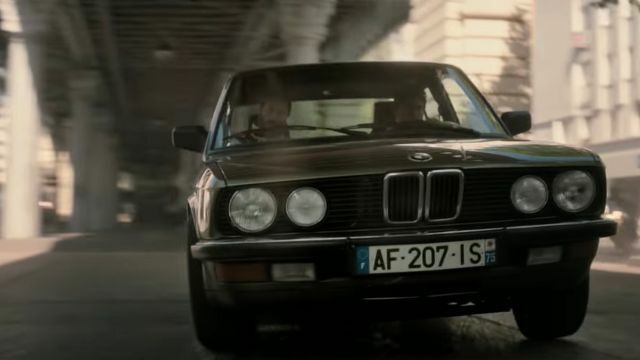 A high-speed chase through Paris is just one part of that second act, but it still stands out long after things cool off. Preceding the bathroom fight is a stunt sequence so breathtaking it’s hard to believe it’s real and not just CGI. 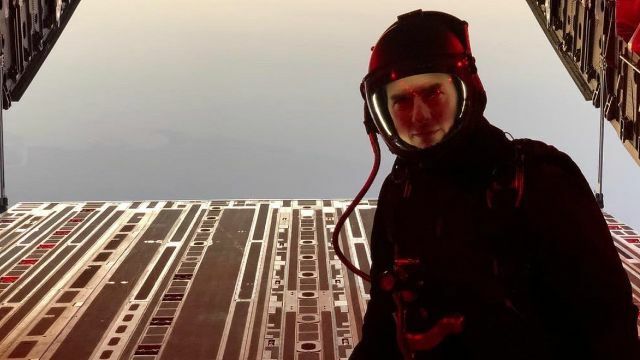 Filmed in stunning IMAX, Tom Cruise and Henry Cavill leap from a high altitude with plans to open their parachutes as close to the ground as possible, but nothing is ever that easy. Chaos ensues, all while the two try to avoid their mark. 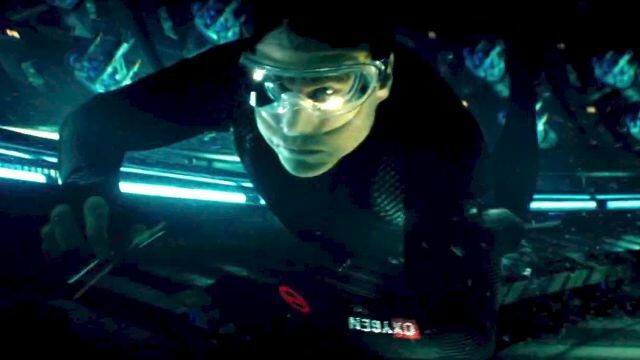 Speaking of breathtaking, there’s a sequence in the fifth Mission: Impossible film, Rogue Nation, where Cruise’s Ethan Hunt is required to hold his breath for a couple minutes and dive down into an underwater database to switch a chip — the reasoning and plot behind the stunt is longwinded (no pun intended), but just know that this was supposed to be an easy task. It’s not that simple, though—everything goes wrong and he ends up holding his breath for a whole lot longer than two minutes. Throughout all six of these films, there’s one twist that gets reused over and over but never gets old: the mask reveals. 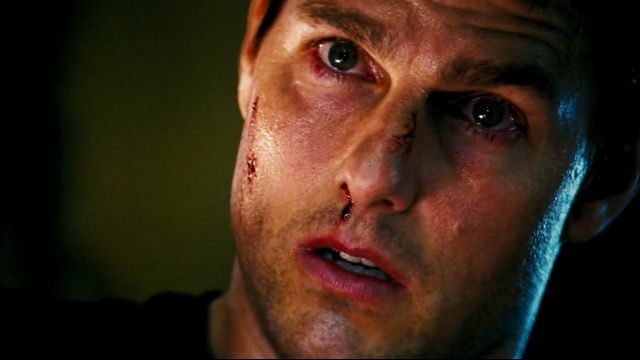 Realistic face masks are integral to the plots of almost every single Mission: Impossible film, and it’s so great each and every time the mask is pulled off and the person’s true identity is revealed, Scooby Doo-style. Purchase now on Amazon for $25.60. By the time the third film rolled around, audiences had come to realize Hunt was willing to risk it all for the sake of the safety of the planet. This realization is really proven at the end of the third film when he literally dies to avoid anyone else having to endure the same fate. He’s revived, of course, but the scene is easily one of Hunt’s most heroic. 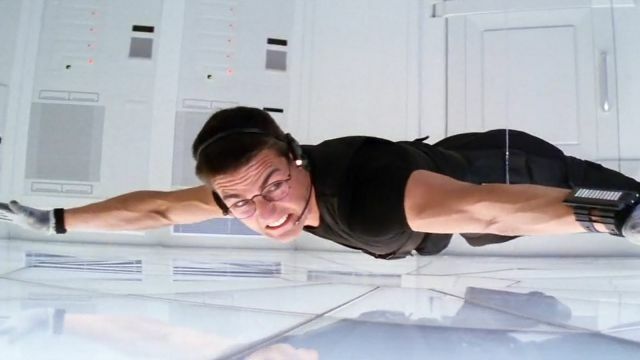 It’s probably the most iconic, most parodied moment from the entire franchise: Ethan Hunt, dressed in black, suspended by a wire in an all-white room. It’s thrilling and high-stakes and just plain cool. This opening scene from the fifth film was one of the first times we realized just how committed Tom Cruise is to this franchise and this character: in order to enter a plane, which is in the midst of taking off, Hunt must hang from the outside of it as it lifts off into the sky. Cruise is really hanging, too, seemingly without any wires or green screen. It’s incredible. In the same vein as the plane hang sequence in Rogue Nation and the mountain climb sequence in Fallout is the building climb sequence in the fourth film, Ghost Protocol. 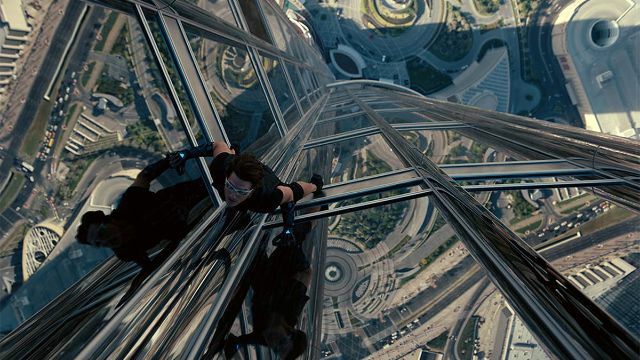 In Dubai, Cruise’s Hunt makes his way up an immense skyscraper using suction cups. In typical Mission: Impossible fashion, something goes wrong and Hunt has to improvise. It’s exciting and ingenious.